How Do Medical Bills Affect Your Credit Score? Delinquent medical accounts can be reported to credit bureau and appear on your credit report. Although standard medical bills are often not reported to credit bureaus, outstanding bills deemed noncollectable by your doctor&#039;s office, hospital or medical service provider may be sold to a collection agency. Once medical bills are transferred to a collection agency, they are generally reported to a credit bureau and listed under medical collections. Inaccurate medical bills can be challenged for removal. Accurate medical bills will remain on your report, but the account status can be changed to closed or current by paying off the debt. Including medical bills in a bankruptcy will also modify the account status. Obtain copies of your credit reports. Order reports from Equifax, Experian and TransUnion. All three credit reports typically feature similar information, but can vary slightly based on differences in medical company or collection agency reporting procedures. Review each credit report for inaccurate medical bills. Look for bills that have never been delinquent, or reflect an incorrect balance. Make a list of every account that is not correct for additional research. Contact the company that holds the debt listed on your credit report. Discuss any inaccuracies and request your files be corrected. For accurate debts, discuss any debt reduction program offered to help you pay off the debt. If your debt is held by a collection agency, you may be able to negotiate a settlement that will clear your debt and will update your account to a closed status. File credit disputes with each credit bureau where inaccurate information is listed if a company refuses to update your file. Most credit bureaus offer an online dispute submission form, but you can also submit your dispute request by mail. Discuss your financial situation with a lawyer or financial adviser if your medical bills are higher than you can pay. Review your options, including bankruptcy. If you proceed with a bankruptcy, include all your medical bills listed on your credit file. While these accounts will not be removed, the outstanding balance will be listed as zero on your credit report. Reorder your credit reports after you pay off medical bills, request an update to your file or finalized a bankruptcy. Review all the medical bills listed on your report to ensure your credit file is accurate. 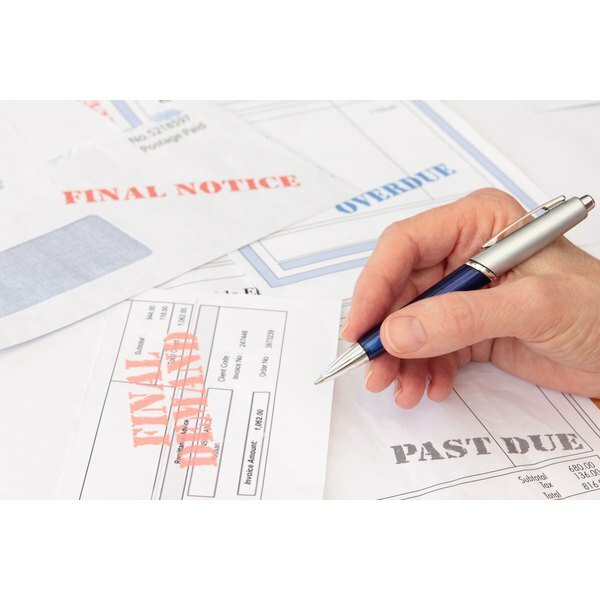 Accurate debts may be removed after a bankruptcy based on the legal time limit for the type of bankruptcy filed. Over time, the impact of any negative medical bill payments will be reduced if you consistently pay your outstanding bills on time.